Aqua Vitae is a new single malt whisky rich in both flavour and history. 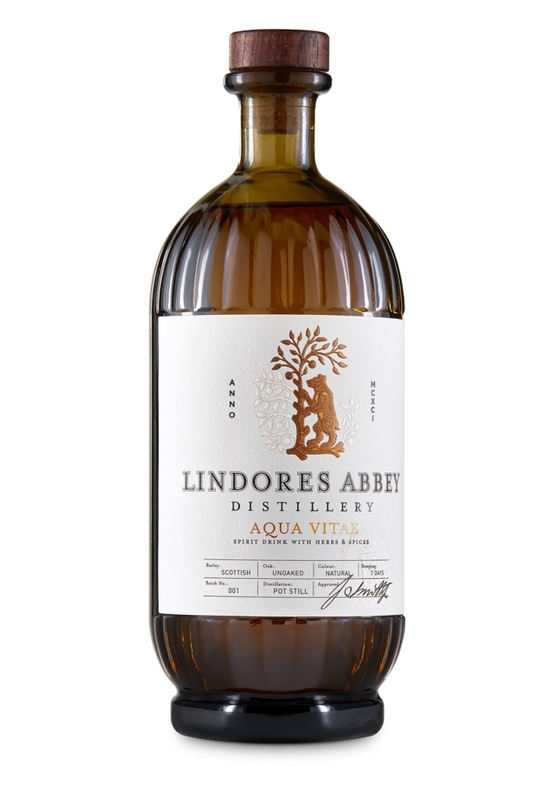 It was crafted and distilled at Lindores Abbey located in Fife, Scotland. It was at this very location in the year 1494 the journey of single malt whisky first began. Aqua Vitae is the original name for Scotch whiskey. 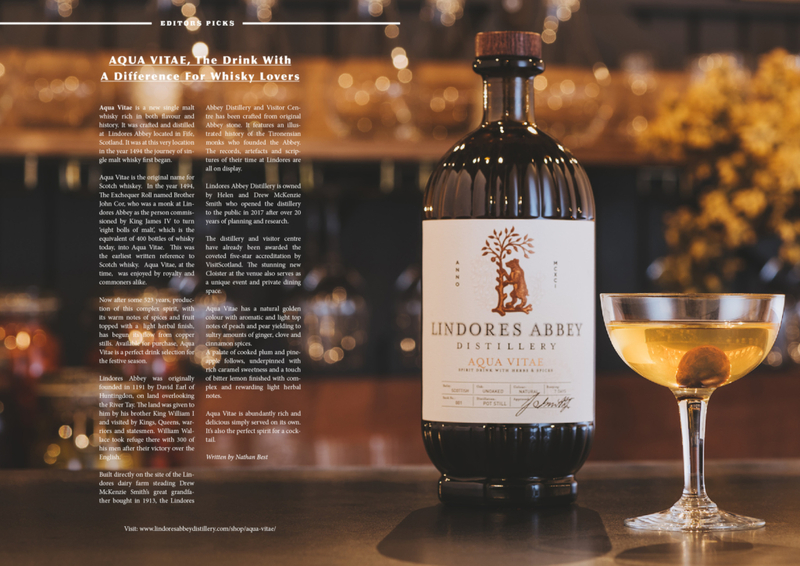 In the year 1494, The Exchequer Roll named Brother John Cor, who was a monk at Lindores Abbey as the person commissioned by King James IV to turn ‘eight bolls of malt’, which is the equivalent of 400 bottles of whisky today, into Aqua Vitae. This was the earliest written reference to Scotch whisky. Aqua Vitae, at the time, was enjoyed by royalty and commoners alike. Now after some 523 years, production of this complex spirit, with its warm notes of spices and fruit topped with a light herbal finish, has begun its flow from copper stills. Available for purchase, Aqua Vitae is a perfect drink selection for the festive season. 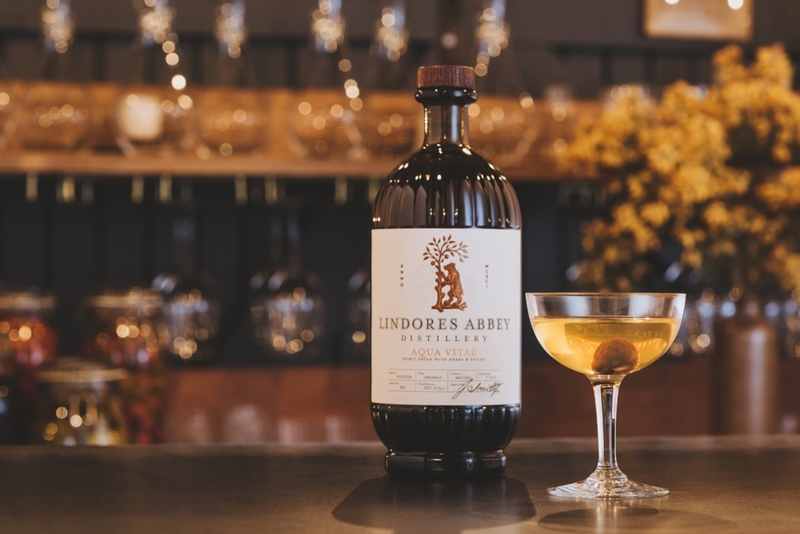 Lindores Abbey was originally founded in 1191 by David Earl of Huntingdon, on land overlooking the River Tay. The land was given to him by his brother King William I and visited by Kings, Queens, warriors and statesmen. William Wallace took refuge there with 300 of his men after their victory over the English. 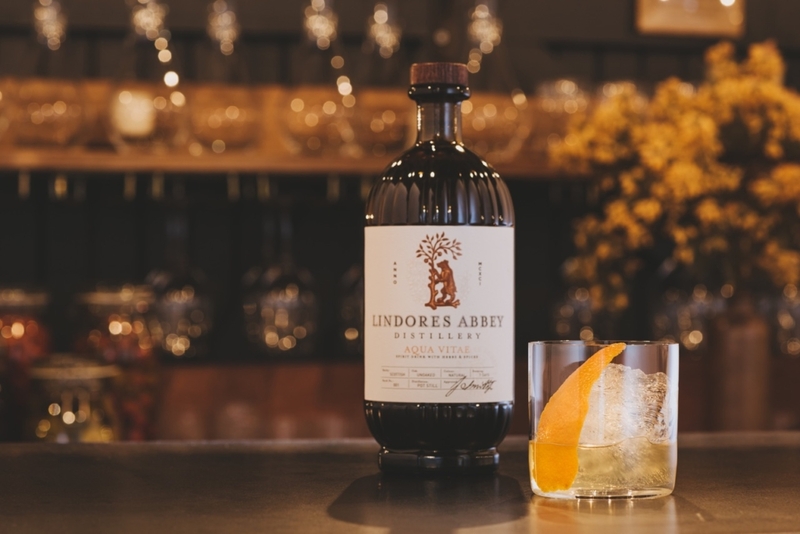 Built directly on the site of the Lindores dairy farm steading Drew McKenzie Smith’s great grandfather bought in 1913, the Lindores Abbey Distillery and Visitor Centre has been crafted from original Abbey stone. It features an illustrated history of the Tironensian monks who founded the Abbey. The records, artefacts and scriptures of their time at Lindores are all on display. 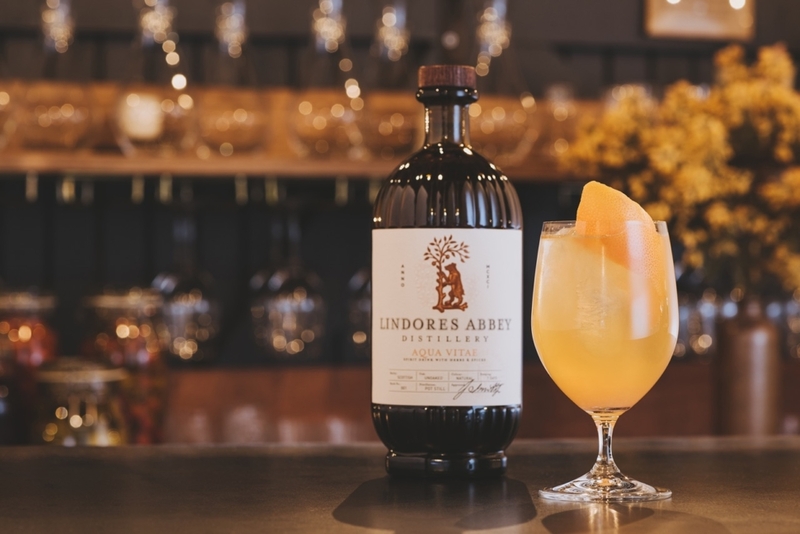 Lindores Abbey Distillery is owned by Helen and Drew McKenzie Smith who opened the distillery to the public in 2017 after over 20 years of planning and research. The distillery and visitor centre have already been awarded the coveted five-star accreditation by VisitScotland. The stunning new Cloister at the venue also serves as a unique event and private dining space. Aqua Vitae has a natural golden colour with aromatic and light top notes of peach and pear yielding to sultry amounts of ginger, clove and cinnamon spices. A palate of cooked plum and pineapple follows, underpinned with rich caramel sweetness and a touch of bitter lemon finished with complex and rewarding light herbal notes. Aqua Vitae is abundantly rich and delicious simply served on its own. It’s also the perfect spirit for a cocktail.